HERBERT B. WILCOX, M.D. ; HUGH MCCULLOCH, M.D. 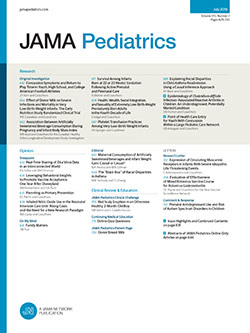 In the report of the American Pediatric Society in the September issue (Am. J. Dis. Child. 60:742, 1940), an error occurred in the abstract of the article by Drs. Mildred Weeks Wells and Theodore Stanley Wilder entitled "Epidemiologic Study of Selected Aggregations Breathing Irradiated Air," on pages 759 and 760, in that the word "measles" was inserted in the fourth and sixth lines of the third paragraph, which refers to chickenpox, and in the last sentence of the last paragraph but one on page 760, which refers to mumps. In the last paragraph of the abstract of the article by Drs. W. F. Wells and Joseph Stokes (page 759), "Marlboro, Mass." should read "Marlboro, N. J."